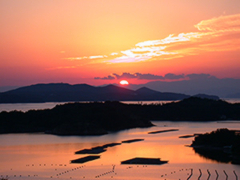 Steeped in legend as being the home to the sun goddess Amaterasu, Mie Prefecture is the spiritual heartland of Japan. Boasting an extensive range of religious sites, Mie is also blessed with some excellent natural features including over 1000 Kilometers of coastline, ancient forests and majestic mountains. Located in central Honshu, Mie holds the unique distinction of belonging to both of Japan’s Kansai and Tokai regions. 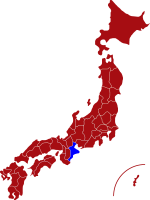 Bordering Nara and Wakayama to the west and Aichi Prefecture to the east, Mie forms the part of the Kii Peninsular and faces the Pacific Ocean to the east. With over one third of the prefecture designated as national parks the southern area known as the Ise-Hanto makes an excellent place to start. Home to the world famous Ise Grand Shrine, visitors can experience walking around the most important religious site in all of Japan, which is said to attract over seven million worshippers annually. Further east within the Ise-Shima National Park, close to Toba City lays the tiny island of Mikimoto, famous for its pearl cultivation and female divers who are believed to have been harvesting these precious objects for over 2000 years. Up towards the northern tip of Mie is the castle town of Iga-Ueno famous for its Ninja Museum. Boasting one of the country’s leading Ninja schools this museum provides a unique look at some of the teachings, techniques and objects used by these mysterious stealth warriors along with some highly entertaining Ninja shows. Further east is Kuwana city home to the impressive Nagashima Resort. Featuring four main facilities, this resort includes a spa-land and an amusement park along with a large flower park whose winter illuminations have become a key attraction within the Kansai and Chubu regions. With such a wealth of attractions Mie Prefecture is somewhere which deserves to be explored at a leisurely pace in order to enjoy its tranquil and spiritual atmosphere which is a world apart from the bustling metropolis. For more information about Mie prefecture, see their official tourism website. Rail - From Nagoya most places in Mie can be accessed within an hour by both JR and Kintesu Main Lines. From Tokyo Station, the Tokaido Shinkansen makes the 1.5 hour ride to Nagoya Station where you can transfer on to one of the above mentioned services. 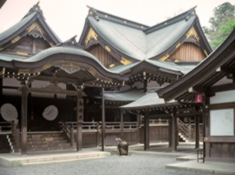 Ise Grand Shrine, also known as just "Jingu", is Japan's most sacred shrine and dates back to more than 2,000 years. 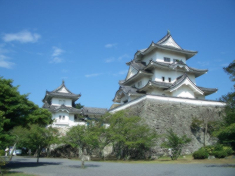 Iga Ueno Castle - Iga is the birthplace of the famous Japanese ninja warrior, and visitors to the castle can enjoy real-life ninja demonstrations. 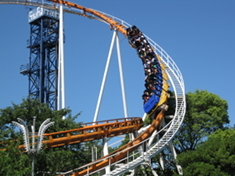 Nagashima Spa Land is a major sightseeing attraction for visitors to Mie and contains some of the most thrilling roller coasters in Japan. Mikimoto Pearl Island is a small island located in Ise Bay. The island is the home of the first successfully cultivated pearl by Kokichi Mikimoto in 1893.